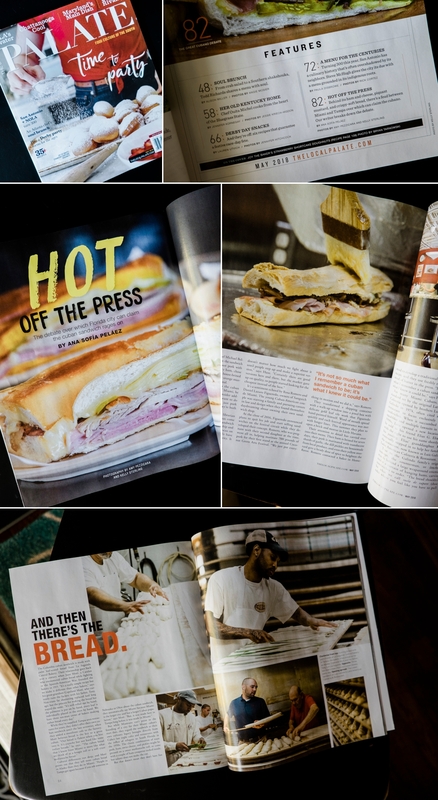 Ybor City's venerable La Segunda Bakery graced the pages of The Local Palate magazine the May 2018 issue. I had the chance to go behind the scenes and photograph the makings of a classic Tampa sandwich: the Cuban. In a mouthwatering comparison of Florida's famous Cuban sandwiches, who comes out on top? And for us vegetarians, it's nice to note that their Cuban bread has no lard, so it's vegetarian!